Every woman needs and love purses and have a huge collection. 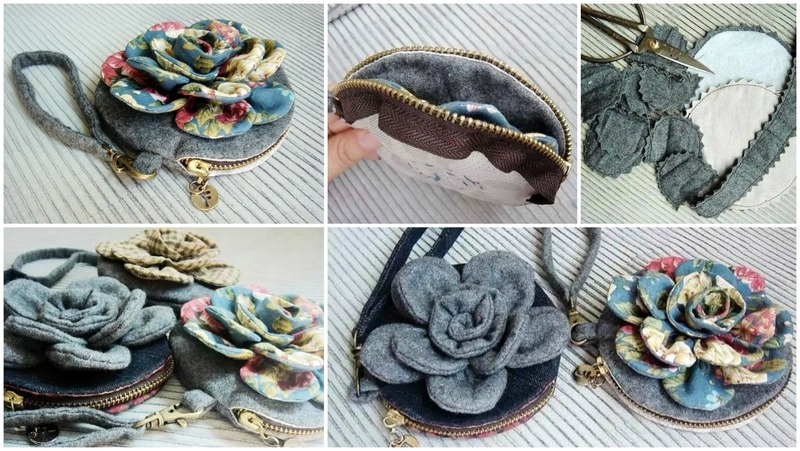 Today we have great tutorial for beautiful vintage Flower purse and we want you to make another beautiful purse for everyday life and for your collection. As you can see on these pictures we have purses in different colors and materials so you can feel free to choose any you like more of course and begin sewing if you have necessary accessories. In this purse you can put car or house keys, Money and many other thing. As you can also see on this collage purse has a hanging peace where you can hang your car keys and never loss. We hope you will start sewing now and use this beautiful vintage flower purse everyday.